For reasons never directly explained to RLM, House Speaker Jase Bolger refused to take a vote on S.B. 1156 & 1157 over the final days of the legislative session. While more than 100 bills were addressed during a marathon 20-hour session spanning all day Thursday and until nearly sunrise today, the two coercive abortion protection bills were left to die and will have to be reintroduced in the new session starting in January. Bolger is term-limited and will not be returning to the legislature in 2015. Kudos to Senate Majority Leader Randy Richardville and lead bill sponsor, Senator Judy Emmons, who went the extra mile trying to get this legislation through in the waning days of this session. They demonstrated true commitment and leadership to the prolife cause. It is a disappointing finish to an otherwise historic 4-year legacy of passing prolife legislation under the current House and Senate leadership. Under Speaker Bolger and Majority Leader Randy Richardville, RLM was able to promote more significant prolife legislation than at any other time in our history. Both Bolger and Richardville are term-limited and will not return to the legislature in 2015. Right to Life of Michigan will be working with new leadership. In 2011, after 15 years of effort, a ban on partial birth abortion was finally secured in Michigan law. In 2012, we passed the unprecedented Prolife Omnibus bill, putting four separate bills together into one. In 2013, the House and Senate approved our citizen petition legislation to remove abortion coverage from Obamacare plans and all health insurance in Michigan. Passage of the Coercive Abortion Protection Act would have been a crowning piece to this remarkable run of prolife legislation. Some adversity only serves to strengthen resolve. Right to Life of Michigan will be back in 2015 to complete the mission of protecting women and girls from coerced abortions. With appreciation for all the incredible prolife work you do, may you be blessed this Christmas season as we celebrate the birth of a baby. Isn't that what we are about? Knowing there is hope and joy with the coming of each and every baby! The Daily Signal has a video on Elijah Leffingwell and his surgery while he was still in the womb. In the Lansing State Journal, Right to Life of Michigan’s Legislative Director Ed Rivet has a piece reflecting on Brittany Maynard’s death and on Michigan’s decision to choose true compassion over assisted suicide. The conversation about her very public campaign promoting physician-assisted suicide should cause Michiganders to recall the debate we had in the 1990s as a result of Dr. Jack Kevorkian’s lethal activities. At that time, Michigan was the epicenter of the assisted-suicide debate and as a state we gave it a very thorough examination. Let us reflect on what we learned. We chose not to legalize assisted suicide via a 1998 statewide ballot question, rejecting Proposal B by a 71 percent to 29 percent margin. We recognized that we failed if our solution to suffering was to kill those who suffer. Better alternatives were available. We approved new laws and administrative rules to increase access to hospice care, gave doctors more discretion to aggressively use pain medications, and improved training for palliative care and pain management in the health professions. With barely two weeks remaining in the current legislative session and a raft of issues on the docket, Michigan House leaders have moved the protection of religious liberties to center stage. House Speaker Jase Bolger introduced House Bill 5958 - the Michigan Religious Freedom Restoration Act (MRFRA) - immediately after the November election. Typically, the Speaker does not introduce bills as leader of the chamber. HB 5958 is the only bill Speaker Bolger has personally sponsored in this two-year session. Today the House Judiciary Committee heard testimony on the bill and reported it to the House floor by a vote of 7-4. This proposed state law directly parallels the federal RFRA which was at the center of the Hobby Lobby religious liberty case against the HHS Mandate under the federal health care law. The federal RFRA was enacted in 1993, signed by President Bill Clinton, to mitigate a U.S. Supreme Court ruling which lowered the protection of religious beliefs from government actions. Though Congress attempted to apply RFRA to the states, the Supreme Court later ruled states must pass their own RFRA to maintain the highest level of legal protection at the state and local levels. Right to Life of Michigan offered its support to HB 5958 today as we are currently engaged in our own lawsuit against the HHS Mandate. Recent government actions at both the federal and local levels have demonstrated fundamental religious liberties are vulnerable. While things are always very unpredictable in a "lame duck" session, including what response the Michigan Senate will have to HB 5958, a matter of this importance will keep everyone's attention in Lansing. RLM will be closely monitoring developments on this legislation and will be advocating for its passage. In a new video, comedian Steven Crowder shares his experience volunteering with his wife at a ministry for individuals with special needs. He discusses how every life has value. Check out the wonderful, short 14-minute prolife film MITOSIS below. When we take the life of an unborn child, we also kill their future dreams, creativity and knowledge. 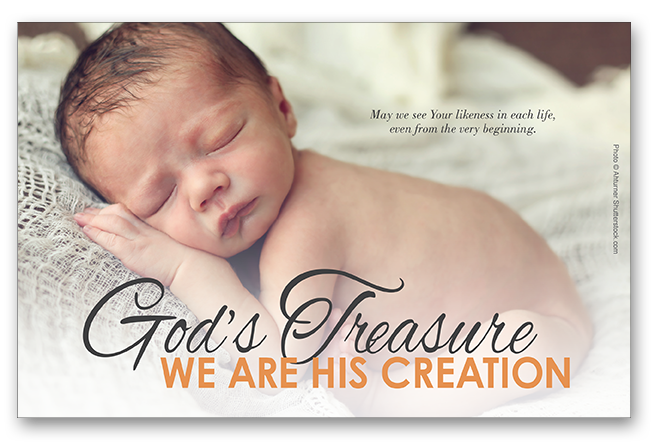 This month, Right to Life of Michigan supporters have the opportunity to double their donations to the Right to Life of Michigan Educational Fund. Generous donors are doubling the donations of individuals up to $50,000 for donations given online. Our goal is to raise 50,000 in online donations by December 31. 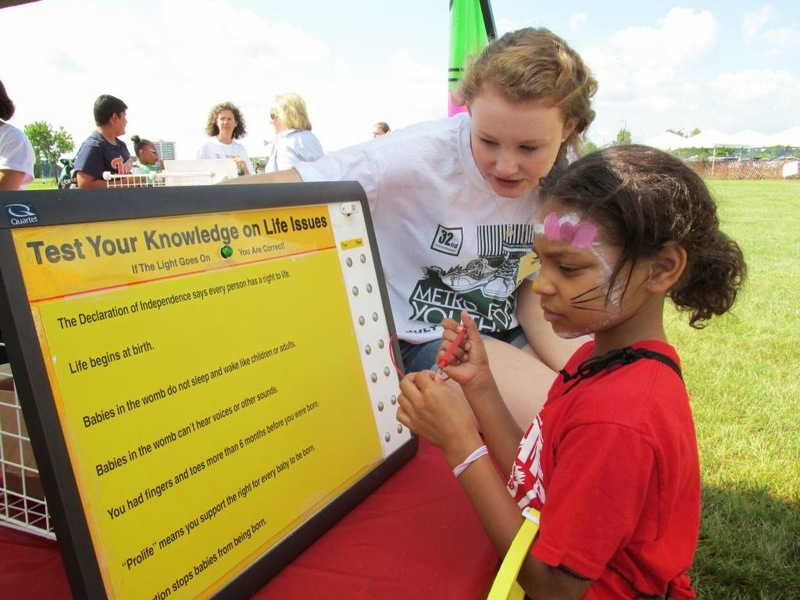 Double your donation by donating online to Right to Life of Michigan Educational Fund. Today is the 38th anniversary of the Hyde Amendment. Despite being a main target for many years of abortion advocates, it's been re-approved by Congress every year. It prevents federal tax dollars from directly paying for most abortions. Preventing federal tax dollars from paying for abortion save lives, millions of lives. A similar law in Michigan saved approximately 10,000 lives the first year it was in effect. Case in point: In 1988, Michigan tax dollars were used to pay for abortions until December 11, 1988. There were 46,747 reported abortions in Michigan in 1988. Michigan had a reported abortion ratio (the number of abortions for every 1,000 live births) of 334.8 and a reported abortion rate (the number of abortions occurring in Michigan per 1,000 Michigan women aged 15-44) of 21.0. In 1989, these numbers changed dramatically as our Michigan tax dollars were no longer paying for abortions. Reported abortions dropped by more than 10,000 to 36,557. The abortion ratio dropped to 246.7 and the abortion rate dropped to 16.5. In 1989, the number of live births also rose by 8,529 compared to 1988. If ending tax funded abortions in Michigan saved 10,000 lives in one year, imagine how many lives 38 years of the Hyde Amendment (which effects the whole nation) has saved. Today is a day to celebrate the millions of lives saved by the Hyde Amendment and continue in our efforts to uphold the sanctity of human life. Start With Life is a thought-provoking short film about the battle of maintaining and advancing respect for human life. The spectrum of life comes alive with the visual images and scenes to which we can all relate. Deep down we know we must Start With Life. Every person is equal under the law, and at crucial points in our country's history, this idea has given our nation a hope and vitality unlike any other on earth. Every new generation has had to come to terms with how to put this idea into practice. Help others Start With Life. This film will remind them of ways they can join the battle of protecting the unalienable right to life. Every human being bears the image of God and is deserving of protection. To show the 2-minute 22-second Start With Life film to your church, study group, organization or ministry, please contact Right to Life of Michigan at info@rtl.org or by calling the Right to Life of Michigan State Central Office at 616-532-2300. 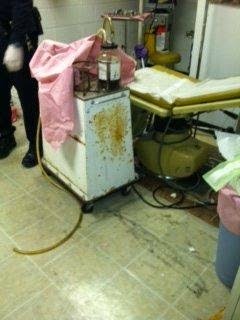 Judge finds Michigan abortionist "failed to adhere to the most minimal standards of cleanliness"
For years, abortionist Robert Alexander ran a filthy abortion clinic in Muskegon and his clinic was only shut down when authorities investigated a break-in at the clinic and discovered the horrific conditions. Now, Alexander is on the brink of losing his medical license after a September hearing exposed his practices. After the hearing, Administrative Law Judge Shawn Downey issued a proposal for decision which did not look too kindly on former Muskegon abortionist Robert Alexander's excuses for his closed abortion clinic's disgusting state. Alexander blamed his staff, contractors, and his landlord for the mess. Alexander even accused prolifers of breaking into his clinic and creating months of general filth overnight. Judge Downey found that Alexander was not a credible witness and noted that the filthy conditions at the clinic had been there for an extended time according to Alexander's previous employees. He also found that the Bureau of Health Care Service proved Alexander is guilty of both negligence and incompetence under Michigan's Public Health Code. The Michigan Board of Medicine will now decide how to discipline Alexander. At the Gospel Coalition, Trevin Wax discusses the "New Abortion Absolutists" and how certain abortion advocates have moved away from the "safe, legal and rare" mantra and are now embracing arguments attempting to eliminate the social stigma attached to abortion. The agenda for abortion absolutists is clear. We must dispense with the mystery and gravitas surrounding a woman’s decision to terminate a pregnancy. It is time to talk frankly about the abortion procedure as if it were just a normal part of a woman’s range of reproductive health choices. The Government Accountability Office released a study which confirms tax dollars are being used to subsidize abortion in Obamacare. The study shows that elective abortion coverage in the vast majority of plans studied "is not subject to any restrictions, limitations, or exclusions." After the passage of Obamacare, prolife people and members of Congress feared their tax dollars and insurance premiums would be used to pay for elective abortions in Obamacare. These concerns were routinely dismissed by the Obama administration and abortion advocates like Congressman Gary Peters. After voting against legislation which would have prevented tax dollars from being used to subsidize abortion coverage, Congressman Gary Peters issued a press release which claimed "the fact remains that taxpayer dollars are not used for abortions" and "(t)here have been GAO audits...(that) have concluded that the law of the land is being obeyed. No federal funds are being used for abortions" and the legislation is "completely unnecessary." The GAO has now released a study showing concerns were completely valid regarding tax dollars being used to subsidize abortion in Obamacare. The GAO study also shows that Congressman Peters was completely wrong. Right to Life of Michigan President Barbara Listing said, "Michigan deserves better than politicians who blindly and thoughtlessly stand behind an administration willing to mislead so many people. Abortion funding could have easily been removed from Obamacare. Politicians like Gary Peters voted against those straight-forward bills." Over the summer of 2013, prolife citizens of Michigan initiated legislation to opt-out Michigan from using our tax dollars and insurance premiums to pay for abortions by collecting more than 300,00 signatures from registered voters. A new study from the Government Accountability Office reaffirms the necessity of their actions and Michigan's law by finding the vast majority of insurance plans in their study aren't separating the cost of abortion insurance from the rest of the insurance as President Obama promised in an executive order. The Government Accountability Office said in a report released late Monday that only 1 of 18 insurers it reviewed was separately itemizing a charge for coverage of elective abortions on enrollees' bills. That detail is important because the original compromise that President Barack Obama sealed with anti-abortion Democrats stipulated that no federal funds would be used to pay for elective abortions. This study proves that insurance companies which include the standard coverage of abortion aren't separating the costs of covering abortion from the rest of the insurance premium just as prolife people had feared. The study also proves a number of opponents of the Abortion Insurance Opt-Out Act were clearly wrong to attack the motives and sincerity of prolifers. Speaking in opposition to the Abortion Insurance Opt-Out Act on December 11, 2013, State Senator Gretchen Whitmer claimed prolife concerns about Obamacare paying abortions were false. "They told the public this was about preventing Obamacare from paying for abortions. Bull." "The Affordable Care Act includes a mechanism to ensure that public funds are not used to perform elective abortions and includes language reinforcing the Hyde Amendment." State Representative Kate Segal also claimed prolifers were lying about concerns of tax dollars being used to subsidize abortions in her testimony. I am ashamed that the supporters of this proposal can’t be bothered with facts – repeating the bold-faced lie that their tax dollars are somehow being used for abortions, despite the fact that the federal Hyde Amendment has banned tax dollars from being spent on elective abortions since 1977 and that Michigan law already does so, as well. State Senator Whitmer, State Senator Johnson and State Representative Segal owe apologies to prolife people of Michigan for attacking them and their motives when they clearly were uninformed about Obamacare, the Hyde Amendment and whether tax dollars would be used to subsidize abortions. Abortion ends the life of a human being preparing to be born. This fact is the reason why prolife people do not want their tax dollars and insurance premiums used for abortions. When will President Obama keep the promise he made in his executive order? Last week the notorious abortionist Robert Alexander was on trial in front of an administrative law judge because of allegations of incompetency and negligence stemming from the closure of his Muskegon clinic in December of 2012 by the fire marshal. On behalf of the Department of Licensing and Regulatory Affairs an assistant attorney general laid out a stunning amount of evidence and expert witness testimony detailing the egregious conditions that were uncovered during an investigation of a break-in at Alexander's clinic on Dec. 26, 2012. “fleshy” substances and dozens of fire hazards. When it came time for Alexander's testimony, he rambled and preached from the stand and had to be reprimanded several times to “just answer the question.” He dodged and obfuscated questions and contradicted himself repeatedly. He even went on to describe his long standing bi-polar disorder and suggested that he should be excused from the allegations because of the American's with Disabilities Act. When asked about his competency in the face of the overwhelming evidence against him, Alexander claimed prolife extremists broke in and staged the scene. He then blamed his employee and her husband for not cleaning as they had been contracted to do. Finally, he claimed the deplorable conditions existed because he was in the process of closing his clinic and the procedure room in question was simply being used for storage. The expert witnesses disagreed with all accusations by Alexander that the scene had been staged and were able to show the conditions found at the clinic demonstrated a history of negligence. It took the judge only one week to determine Alexander was guilty of both negligence and incompetence. Now it is up to the Board of Medicine to take the judge's opinion into consideration as it decides whether Alexander's license will be revoked and what other sanctions will be placed on him. The Board Review will take place on Wednesday, September 17, 2014. “Why do you have to get involved in politics?” That’s a question I get from people who disagree with our endorsement of candidates. It’s a fair question. Many citizens are unhappy with their elected officials, feeling they are unresponsive or once elected change their positions. We needed to be actively engaged in vetting and supporting candidates because that is one way to impact the abortion culture. Prolife bills need to be passed; pro-abortion bills need to be defeated. That only happens when men and women with prolife values are sent to Lansing and Washington D.C.
We must always protect the most defenseless members of our human family. A vital way of protecting others is through our political action activities. Certainly our counterparts, the pro-abortion alliance of Planned Parenthood, NOW, Emily’s List and others, are actively recruiting and financially supporting pro-abortion candidates. What would happen if we refused to engage and left our prolife candidates without any support? Our nation’s policy of abortion on demand touches us all whether directly or indirectly. We all know women and families who have been heartbroken over abortion. The loss of so many children has affected our state and national institutions and policies, from school closings to social security concerns. We are called to repair the wrongs created through the U.S. Supreme Court abortion decisions which have caused so much harm and suffering. 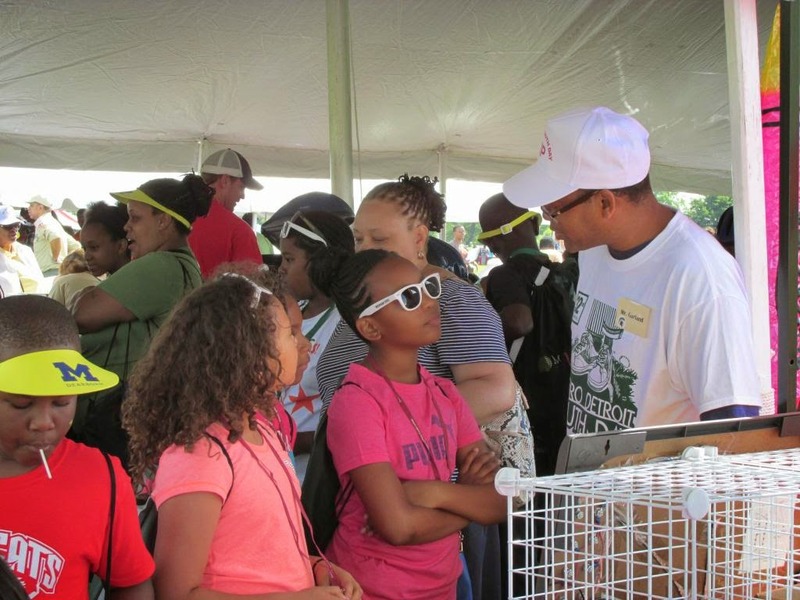 We do that through education and outreach. We do that through political action by endorsing and supporting prolife candidates. We do that by then lobbying those prolife legislators to enact protective laws. Every life has meaning; so does every vote. Let us put our prolife values first when voting. Make your vote count in repairing the cracks. It looks like the Obama Administration may still be in court against the Little Sisters of the Poor, after slightly amending the HHS Mandate following a loss at the U.S. Supreme Court. The government is still trying to force the nuns to either violate their deeply held religious convictions or pay crippling fines to the IRS. “Religious ministries in these cases serve tens of thousands of Americans, helping the poor and homeless and healing the sick. The Little Sisters of the Poor alone serve more than ten thousand of the elderly poor. These charities want to continue following their faith. They want to focus on ministry—such as sharing their faith and serving the poor—without worrying about the threat of massive IRS penalties,” said Adele Keim, Counsel at the Becket Fund for Religious Liberty, which represents the Little Sisters. After the Supreme Court of the United States’ decision in Burwell v. Hobby Lobby there’s been quite a bit of rancor and misinformation regarding the decision thrown about by individuals and organizations which don’t believe in or understand conscience rights and religious freedom of employers. Passed by Congress in 1993 by broad, bipartisan majorities, RFRA [Religious Freedom Restoration Act] protects Americans from substantial burdens on religious freedom unless the government can show it has a compelling government interest and does so in the least restrictive way possible. That’s a high bar and one the Obama Administration failed to meet under this mandate. To be clear, the decision today applies only to the coercive Obamacare rule that was threatening the religious freedom of the Greens’ and Hahns’ family businesses. Other claims for religious exemptions by closely-held family businesses from other laws will have to be litigated on a case-by-case basis. RFRA doesn’t provide a blank check for religious believers to do whatever they want in the name of religion and neither does today’s decision. U.S. Senate Candidate Gary Peters strongly opposes today’s decision because he believes that women should be making their health care decisions with their doctors without interference from their employers. The ruling does nothing to prevent women from making health care decisions with her doctors. It merely says that if a woman is employed by an employer whose religious convictions tell them covering certain types of contraceptives violates their conscience then the employees can pay for their own contraceptives. The reality is that the mandate requiring employers to cover the birth control of their employees didn’t take place for new insurance plans until August 1, 2012. So Peters is fearful that the Supreme Court is taking Hobby Lobby employees back the “stone age” of July 2012? The ruling tells millions of women today that despite what our doctors tell us is best for our health, we must abide by what our employers say they're willing to provide us instead. Women who desire to use contraceptives can still do so. The federal government simply can’t force the owners of Hobby Lobby to violate their religious consciences and require them to cover all 20 different kinds of contraceptives (Hobby Lobby willingly covers 16 of the 20 different types of contraceptives but chooses not to cover those chemicals or devices which may have abortifacient effects). The world is not ending. The sky is not falling. Contraceptives will still be available and covered by the vast majority of employers. It is sad when our public officials have such a limited understanding of Supreme Court cases and results and use their positions to badly misinform their constituents. Abortion advocates often claim they want abortion to be safe, legal and rare. Planned Parenthood will even claim they do more to reduce abortions than any prolife efforts. If Planned Parenthood really wanted there to be fewer abortions, then you’d think they would congratulate their centers for performing fewer abortions, right? The reality is the opposite. They reward and congratulate clinics who increase the number of abortions they performed. 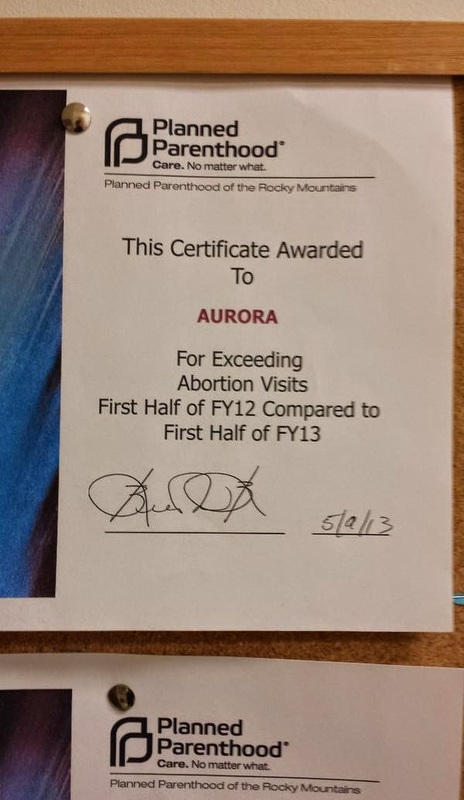 An abortion clinic employee who recently left her job provided this image of certificate given out by Planned Parenthood of Rocky Mountains to its Aurora clinic "for exceeding abortion visits" compared to the year before. In response to the United States Supreme Court ruling in Sebelius v. Hobby Lobby, the following statement may be attributed to Right to Life of Michigan President Barbara Listing. "Today's ruling in favor of Hobby Lobby and Conestoga Wood Specialties is a critical victory in protecting the right of conscience and religious liberty against government overreach. This case was much more about the proper role of government than about contraception and abortion-causing drugs. No one should be fined for following their faith; and employees should not be unwillingly complicit in participating in health insurance which destroys members of the human family. The U.S. Supreme Court reaffirmed that the core principles on which this country was founded are enshrined in the Constitution for the protection of individuals, businesses, and religious organizations. "At issue are business owners who object on religious grounds to providing certain chemicals or devices which may cause an abortion and are mandated by the Department of Health and Human Services. It should be noted that this decision is not about all contraception; this decision makes the needed distinction between contraception and chemicals or devises which have been labeled as 'contraceptives' by the Food and Drug Administration but may have abortifacient effects. "We are studying the opinion carefully in light of the case Right to Life of Michigan filed against the Obama administration on many of the same grounds as Hobby Lobby. Though RLM takes a neutral stance on true contraceptive drugs and devices, we have always objected to those which can cause an early abortion. As an organization formed specifically to promote the uniqueness and sanctity of each human life, RLM has a right to provide health insurance to its employees without violating its very basis for existence." 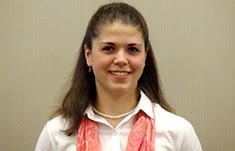 Representative Andrea LaFontaine recently penned a piece to defend the Michigan legislature’s decision to provide funding to the Real Alternatives program which helps pregnant women carry their children to term. When a woman is faced with an unexpected pregnancy, one challenging choice becomes life-changing. For the women who choose life, this counseling program provides a support mechanism that includes an informed, personal relationship, not just a pamphlet they can find online. Providing resources to those who have chosen parenthood can be as simple as a free supply of diapers or a few face-to-face conversations with real people who have professional training and can share helpful information. This is exactly what Real Alternatives has just begun doing for Michigan moms. With 2014 as its first year operating in Michigan, Real Alternatives is working to establish helpful programs for real moms through existing support centers in the southern region of the state. This requires training local professionals to properly implement the program, an effort that simply takes time. Nine service locations are currently utilizing the Real Alternatives program and five additional locations will be providing those same services by the end of this fiscal year. At 34-weeks pregnant, Alysia Montano recently ran the 800 meters at U.S. Track and Field Championships. While she placed last in her qualifying heat and was about 35 seconds slower than her personal best, she still ran at a solid pace and received the approval of the crowd. Thirty-four weeks pregnant, Montano ran the 800 meters Thursday in the U.S. Track and Field Championships. The five-time national champion finished in 2 minutes, 32.13 seconds — nearly 35 seconds slower than her personal best of 1:57.34 in 2010 in Monaco. “I’ve been running throughout my pregnancy and I felt really, really good during the whole process,” Montano said after the qualifying heat. That the 28-year-old former University of California star finished last in her heat didn’t matter one bit to the crowd gathered at Hornet Stadium. Trailing the lead pack by more than 120 meters for most of the race, Montano received a rousing ovation as she finished her first lap and the cheering grew louder when she finally crossed the finish line. The justices of the U.S. Supreme Court unanimously ruled that a 2007 Massachusetts law that created a 35-foot buffer zone around abortion clinics violated the First Amendment right to free speech. The McCullen v. Coakley decision is a victory not only for the plaintiff in this case, 77-year-old sidewalk counselor Eleanor McCullen, but for prolife people everywhere. The justices found that the right of free speech, a long-standing principle of individual freedom, had been needlessly encroached upon. 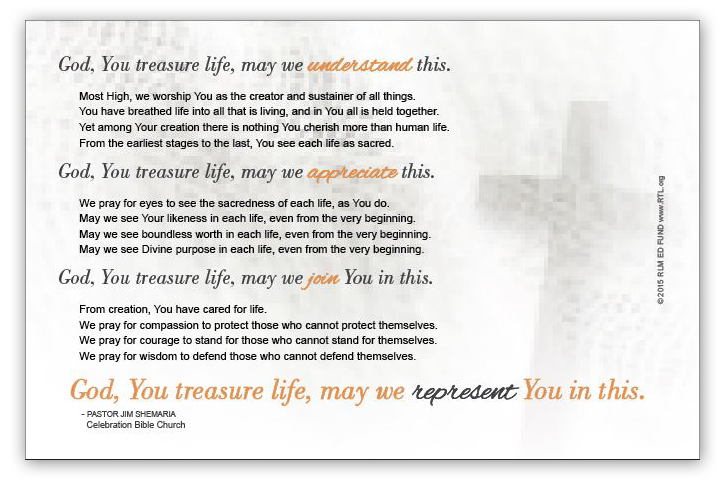 The sole purpose of Right to Life of Michigan is to support and uphold the sanctity of human life; the justices on the U.S. Supreme Court recognized the importance of the freedom to engage in outreach and public advocacy. 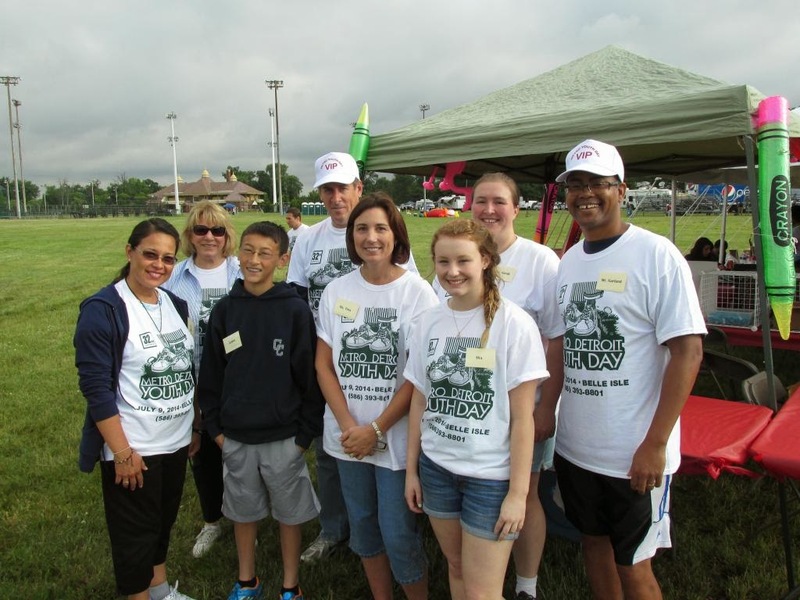 RLM is pleased that those volunteers and sidewalk counselors who spend time in front of abortion businesses in Massachusetts will be able to continue their ministry. This decision could make the difference between life and death for the unborn child whose mother has scheduled an abortion. Prolife people work in many ways, and for some their outreach is being a kind and loving voice for women and families entering abortion businesses. On beautiful sunny days and during cold winter storms, these individuals express the sanctity of human life by being present outside abortion businesses letting mothers know life-affirming options are available. The McCullen v. Coakley decision is a victory for the First Amendment right to free speech and a victory for the passionate people who stand witness to life. On Monday, June 30, 2014, it is expected the justices of the U.S. Supreme Court will hand down their decision in Sebelius v. Hobby Lobby. The Hobby Lobby and Conestoga Wood Specialties decision will determine if businesses can consciously choose the elements of health care plans they provide to employees. At issue are business owners who object on religious grounds to providing certain chemicals or devices which may cause an abortion and are mandated by the Department of Health and Human Services. Right to Life of Michigan will respond when the U.S. Supreme Court issues a decision on the Hobby Lobby case. Right to Life of Michigan would like to congratulate and thank the students in Mr. William Polo’s 7th grade class. Mr. Polo’s class participated in a Book Bank program logging pages read. The program also allowed the students to choose a charity to support. We were excited to learn that Right to Life of Michigan was the charity of choice for Mr. Polo’s class. The Book Bank Program allows the students to raise money each month for a charity. Detroit Free Press recognizes that an “unborn baby” is alive, quickly changes to "fetus"
The Detroit Free Press editorial board predictably opposes any commonsense legislation which attempts to regulate abortion and would never use the term “unborn baby.” However, a recent Free Press article features a story about the tragic case of an "unborn baby" killed by a drunk driver on Friday. The mother is in stable condition. However, an editor must have noticed the term "unborn baby" at some point and the article and title (which also originally included the term "unborn baby") were quickly changed and "unborn baby" was replaced by "fetus." Here's text from the original article. A Macomb County man was arraigned today after police say he ran a red light in Clinton Township while driving intoxicated and stuck another vehicle, injuring the pregnant driver and causing the death of her unborn baby. Now here's the same text of the updated article. A Macomb County man was arraigned today after police say he ran a red light in Clinton Township while driving intoxicated and stuck another vehicle, injuring the pregnant driver and causing the death of her fetus. However, in their zeal to have their news reflect their editorial opinion, the Free Press didn't change one thing. The web address of the article still uses the term "unborn baby" as you can see below. The article currently does not note the changes in the text from the original article or provide an explanation.